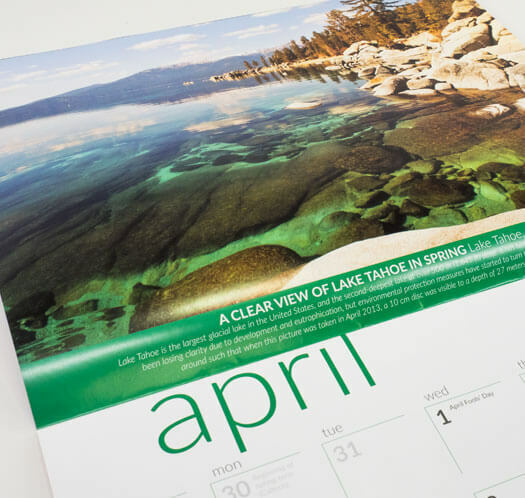 Printing calendars on our 16 pt paperwill make it feel like you made the time and effort to ensure quality details. This is one of our most popular and trusted stocks for jobs that require durability and affordability. 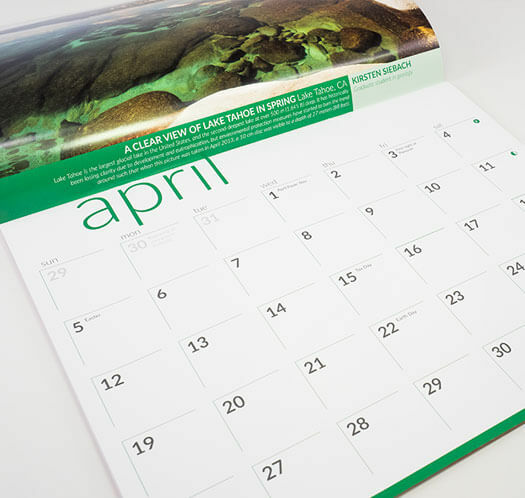 Our calendars are finished with either a gloss or matte coating for a surface resistance that provides a smooth feel. 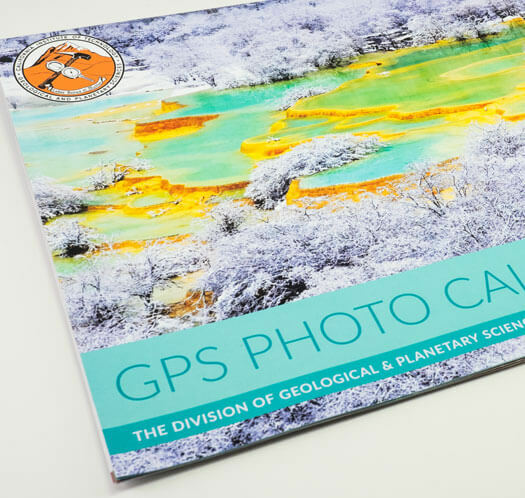 Gloss UV coating is also available to provide your product an eye-catching effect, enriching your design and colors. 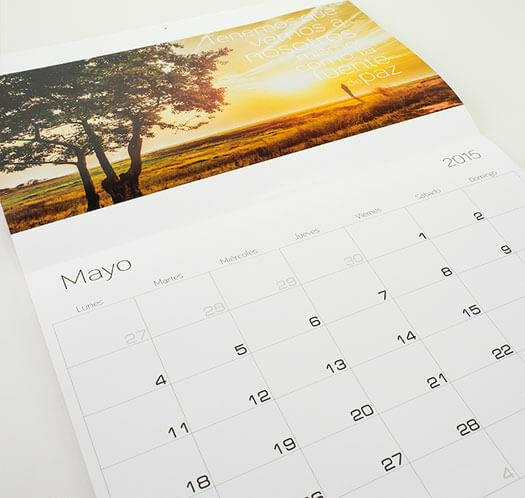 We offer two types of binding options when printing booklet calendars. You can go with the more popular saddle stitch (stapled along the spine), or the wire binding. With a solid design and a reliable stock, either option is sure to look great. We know that greeting someone for anything is as easy as sending a text or email but who doesn't appreciate a nice, handwritten one? 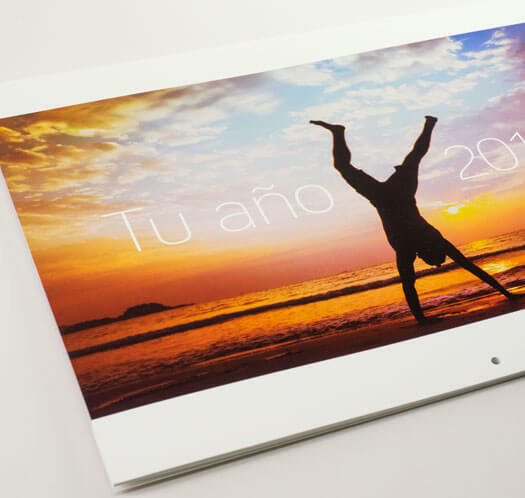 Personalize yours or your company's greetings by printing your own design. Have it mailed directly by leaving room on the back of your card for addresses and postage or order some envelopes for a bit of a suspense. Not all projects are created equal. For a one-of-a-kind greeting cards made just for you, speak with one of our product specialists.